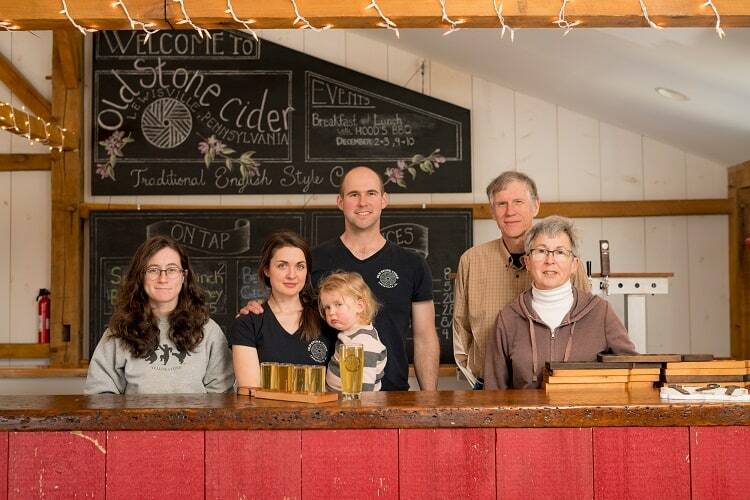 November will mark Old Stone Cider’s second anniversary, and the Gruber family certainly has plenty to celebrate. Both seasons, they’ve run out of their British-inspired ciders long before the next harvest of apples could be pressed into cider goodness. 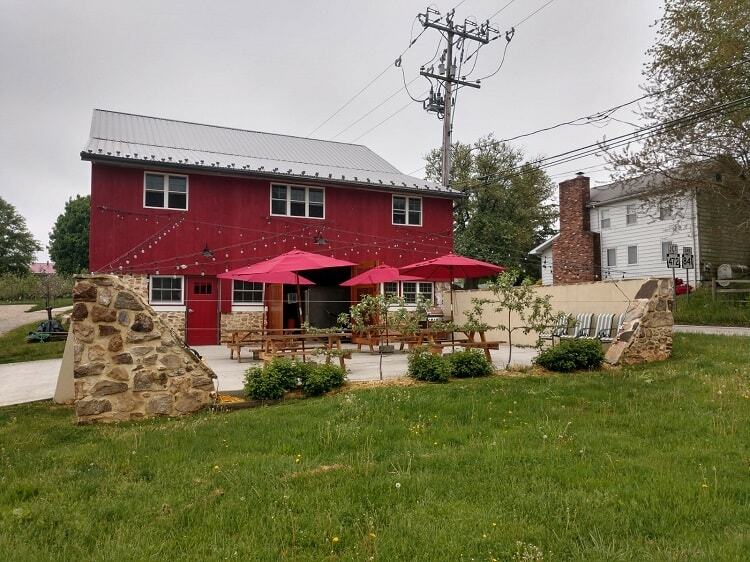 This reality forced the shutdown of their Lewisville, Pennsylvania taproom again this year until November. Old Stone operates as one of three businesses on the family’s farm alongside choose-and-cut Christmas trees and horse boarding, and Evan’s mom, Mary Gruber, manages the orchard while his dad Mark manages the financials. Evan’s wife, Hannah, and her brother also pitch in. “All family helps out as needed across the board,” Mary says. We chatted with this cider-making mother-and-son duo to see what’s in store for their family business, and why they chose to add cider to their farm’s portfolio. 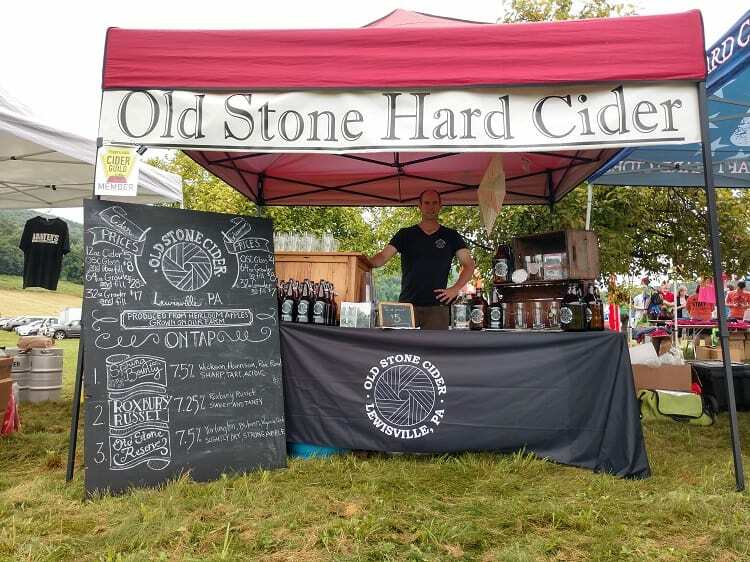 Cider Culture: Was it challenging to convince your family to start Old Stone Cider out of the family farm? Mary: Not a challenge, as we all saw the need to expand and incorporate a value-added product to our farm business. This was after years of selling wine grapes to the local industry. We all understand the economics of turning our fruit into a finished product for sale by the glass versus selling fruit. Evan: We had all tasted cider from England and the U.S. a year or two before beginning to plan for the future business. The most important factor was that everyone enjoyed the product and saw it as underrepresented in the U.S. Because of this, it didn’t take much convincing! Mary: During the recession in 2008, we had the opportunity to purchase 20 acres adjacent to the west side of the farm, with light commercial zoning. There was a dilapidated historic barn adjacent to a main road through the area. We saw an opportunity to convert the barn into a sales and processing site. Total farm acreage is 75 acres, with three distinct businesses. Evan: In our area of Pennsylvania, much of the large farmland has been developed or protected as natural lands, and this means that most of the tillable acreage is in farms smaller than 100 acres. Small farms are very difficult to make profitable growing conventional crops like corn or soybeans, thus you need to be able to add value to your products and sell directly to the public. We have done this with the Christmas trees for many years, but you can only sell Christmas trees about five weeks out of the year. Cider helps provide a year-round product. Mary: Evan takes the lead role in fermentation, blending, kegging, advertising and sales. I manage the orchard, harvest and custodial. Mark manages financials. Hannah (a stay-at-home mom) helps with social media and tends bar, sharing this responsibility with Evan and her brother Zach. Evan and Mark work full-time off site. Evan: Everyone has a very clearly defined role that they perform, and no one steps on anyone else’s toes. This division of labor has been vital to our success. It would be very difficult for one person to do all the jobs needed to run the business. When it comes to bigger decisions, we will all meet up and come to a resolution together. 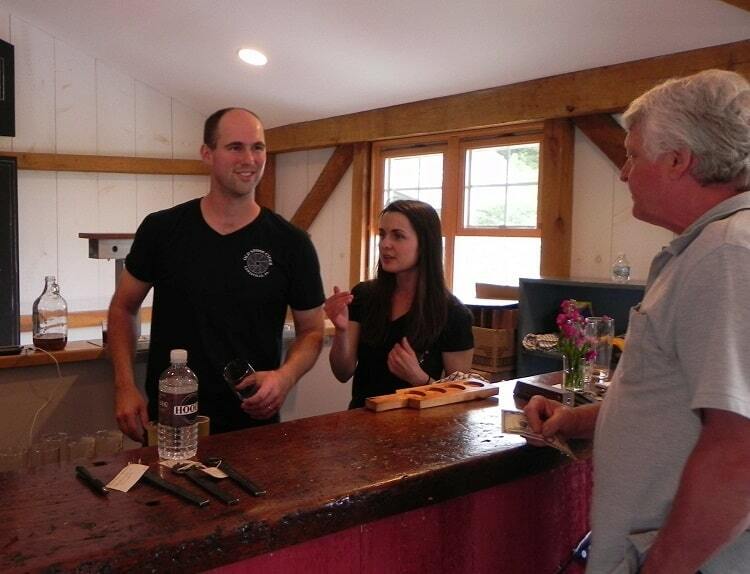 We have also had help from extended family, as well, who can occasionally step in to bartend, pick apples, etc. How has it helped and/or changed the farm? Mary: Cider sales and facility rental have increased farm income. We’ve dealt with retail sale customers for 25 years on the farm for four weeks out of the year. Now, customers are on premises on a weekly basis. Evan: Revenue has certainly increased, as have the hours we have all had to put in. How is the business structured? Are you the CEO/sole owners of Old Stone, or is it part of the overall family business? Evan: Old Stone Cider is a separate LLC from the rest of the farm, for liability reasons. There are three main shareholders who also shoulder the majority of the responsibilities of running the business. What does your family think about Old Stone now that you’ve been going a few years? Have their attitudes/opinions changed during that time, or were they supportive from the start? Mary: Our family and extended family have always been supportive. The extended family didn’t initially understand the draw of cider, but [they] are now converts. Evan: I think family and friends have always been supportive without necessarily understanding what we were trying to accomplish. Now that they can see the fruits of our labor, they really get what we were working towards. Mary: Relatives in New York sold fresh cider and presumably made hard, as well. You emphasize that some of your apple varieties are over 100 years old. Why is this important to you, and how does it impact the flavor of your ciders? Mary: The older varieties have already withstood hundreds of years of human selection. They still exist today because they produce the complex flavors and mouth feel that one enjoys when drinking long-established European ciders. Evan: This is one of the most important parts of making a quality cider. Simply put, you won’t get good flavors by using sweet apples bred for eating and to look good on a shelf. Long before humans were trying to buy perfect waxed apples [from the supermarket], we were breeding them for flavor and how they tasted post-fermentation. What has been the most difficult part of starting your cidery? And most enjoyable? Mary: It has all been enjoyable and, at times, frustrating. The most challenging, expensive and time-consuming was the rebuild of the barn we use for sales and processing. The most rewarding has been creating palate-pleasing ciders and the positive feedback from our customers. Evan: The most enjoyable part for me is engaging and educating the customers. Every week we get many customers who have never tried cider, or only tried commercially produced ciders. And, explaining why our cider tastes the way it does has been very rewarding. The most difficult or frustrating part has been our limited production volume. We grow all of our own apples, and we aren’t willing to lower our standards by buying eating apples. We have sold out twice and had to close early for the year. Mary: Our community is ecstatic that we’ve restored a local landmark and revitalized the town center. Customers consistently give us high grades. Evan: The best compliments come from the British customers who say that it reminds them of the cider they get back at home. Home brewers of beer and home cider makers are also fantastic to talk to, as they understand what it takes to make a product like ours. You sold out of cider for the year according to your website. How will you address this going forward, and what will the next 2+ years bring for Old Stone? 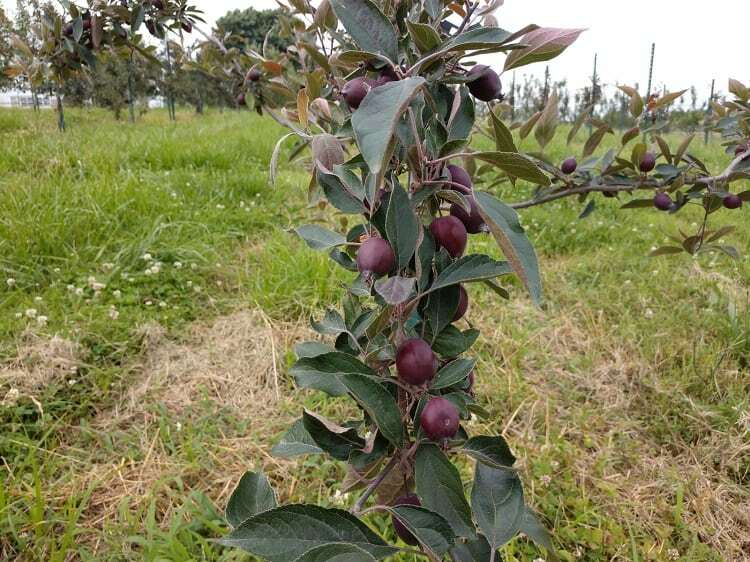 Mary: We’ve been expanding the orchard yearly and have started buying in juice to blend with our cider varieties. What are some of the lessons you’ve learned in 2+ years of operations? Mary: From an orchard perspective: expand, expand, expand. And, fire blight is a killer! Evan: There are so many lessons that you only learn after you take that plunge of opening a business. I think the most important lesson is to not be afraid to experiment and try new things, the only way to move forward is to take some risks. The importance of engaging the customer can’t be overstated, making them feel at home and comfortable is what brings people back, week after week. Mary: I see the future of craft cider following a similar path as the local winery business. Just 20 years ago, there was a rapid expansion of small wineries. Today, there are less than half that number still in business. The classic joke goes: How to become a millionaire in the wine business? . . . Start with two million. There are a lot of subtleties to running a successful business that may not be initially apparent to the passionate cider maker. The best management of the best product in the best location will succeed. Consumers are still developing a palate for cider. The challenge for cider makers is to produce a flavorful cider with good mouth feel, not to over sweeten, over carbonate or disguise thin apple flavor with additives. Nationally, I see cider as holding a strong third position behind beer and wine in alcohol consumption. Evan: I see the industry splitting into two distinct groups: on one side there are the sweet, easily accessible ciders that are available in every package store, and on the other side are more of the craft ciders that are more difficult to produce and have more nuance. I worry the general consumer will try “cider” that is syrupy sweet, flavored and full of additives, and think all cider is similar to that. I think the industry needs to go above and beyond educating customers about how real cider is made, and why it should be supported. 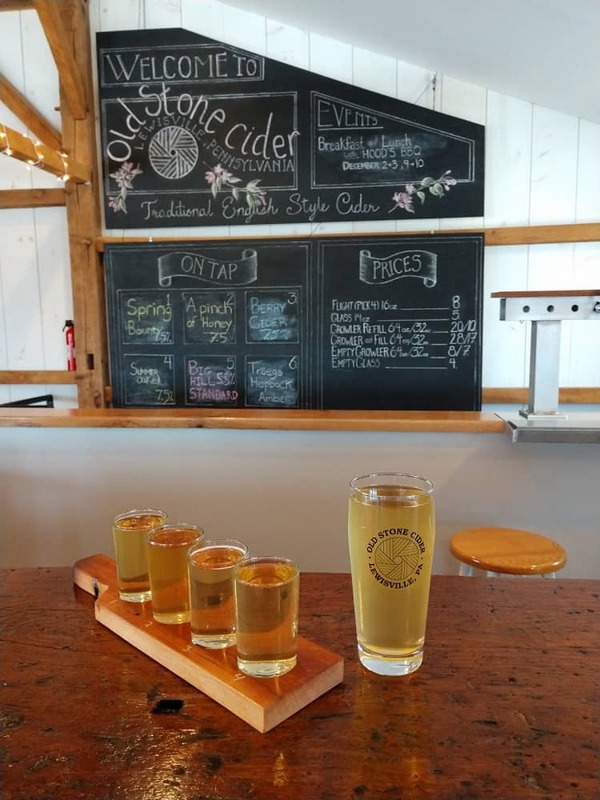 To learn more about Old Stone Cider, visit its website, or follow along on Facebook and Instagram. 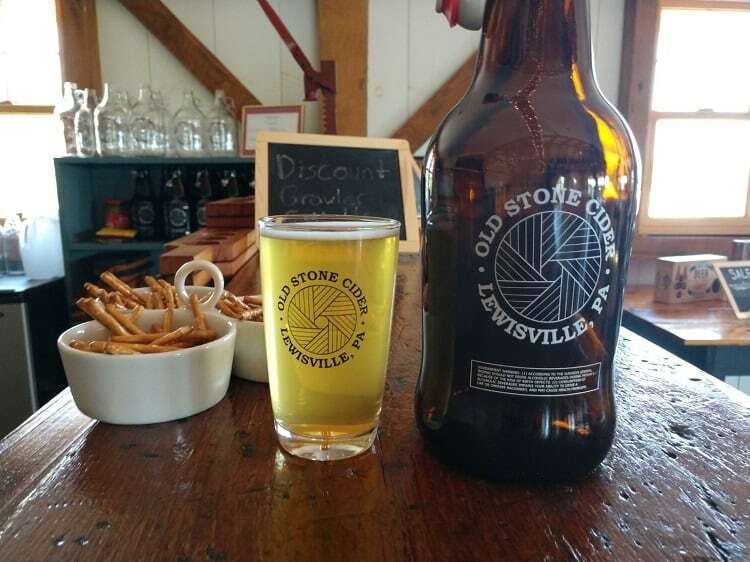 Old Stone Cider is located at 959 Chesterville Rd. in Lewisville, PA; phone: (484) 441-3344.